In November 2013, the NAVS celebrated success for a second time in the battle to stop the construction of a beagle breeding facility in the Yorkshire village of Grimston. Thanks to campaigning by the NAVS, our supporters, local residents and others, the East Riding of Yorkshire Council once again rejected the plans to breed beagle dogs for research. Please donate now and help the NAVS campaign against animal experiments. In 2011, the company behind the plans, Yorkshire Evergreen – also known as B&K Universal, a subsidiary of US company Marshall BioResources – submitted plans to build a facility on the same site. Opposed by the NAVS (we presented oral evidence to the planning committee) and others, the plans were rejected by the council, citing traffic concerns. B&K appealed the decision but the ruling was upheld by the Home Secretary in 2012. Yorkshire Evergreen resubmitted revised plans for the facility last year and we responded with a detailed submission to the council, covering planning issues and the disruption that the facility would have on local residents as well as rejecting claims by Yorkshire Evergreen that the proposed facility would provide “opportunities for sustainable economic development”. This latter claim could not be substantiated and is clearly at odds with the UK Government’s initiative to reduce, not increase, the use of animals in research. 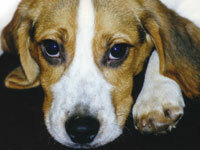 Latest figures show that more than 3,000 dogs are used each year for experiments in the UK. NAVS teamed up with Lush Hull to oppose the plans, and an in-store petition for local residents was delivered to the council. Celebrity supporters Mark Radcliffe and Peter Egan also spoke out against the plans and a petition set up by local protestors secured over 40,000 signatures. Thank you to everyone who helped to defeat these cruel proposals.